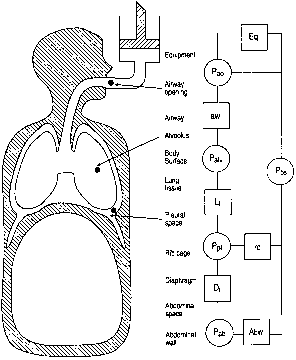 A comprehensive review of the techniques for measurement of pressures in respiratory physiology and of the associated problems was presented by Milic-Emili (6) in 1984. As for most pressure measurements of respiratory events, a frequency response flat up to 10-15 Hz is adequate to measure both dynamic and static pressures related to contractions of respiratory muscles. The frequency response of a transducer can be much altered by the characteristics of the systems attached to it, including balloons, tubing, and interconnecting fittings (7) (see subsequent section). Thus, testing the response characteristics of any transducer with the specific connectors and fittings that are to be used to make the measurements of pressure is highly recommended (7). When differential pressure transducers are used, care must be taken that their two sides have identical frequency responses. Calibration is best made with water manometers. Electrical calibration is acceptable, but should be checked regularly with a water manometer. The required range and sensitivity of the transducers depends on the test in question. Phrenic nerve stimulation in disease may develop pressures as low as a few centimeters of water, whereas maximal static maneuvers in healthy subjects can be associated with positive and negative pressures exceeding 200 cm H2O. It may be possible to use a single type of transducer for all respiratory muscles tests, provided that it is sufficiently sensitive, with a resolution of approximately 0.5 cm H2O and a range ± 200 cm H2O. Pressure differences between two points can be measured directly with two catheters connected to a single differential pressure transducer. Excellent pressure transducers, with such characteristics, are commercially available, including devices based on a metal "membrane." More recently, other types of transducer that provide good results (e.g., piezoelectric transducers) have been made available at lower cost. Balloon catheter systems. The balloon catheter system is the most widely used method for recording esophageal pressure (Pes, Poes; see Appendix for a list of abbreviations) as a reflection of pleural pressure (Ppl), and gastric pressure (Pga) as a reflection of abdominal pressure (Pab) (8). Air-containing latex balloons are sealed over catheters, which in turn transmit pressures to the transducers. Single- and double-balloon catheter systems are commercially available, but can be made in-house at low cost. Double-balloon catheters associated with an electromyograph (EMG) electrode have been used (9-11). When choosing or preparing a balloon catheter system, careful attention must be given to its physical characteristics. Indeed, the volume of the balloon, its volume-pressure characteristics, and the dimensions of the catheter can influence the measurement of pressure and introduce major errors. Standardization has been proposed (12). Figure 1. Locations at which pressures can be measured, and pressure differences derived from them (see also Table 1). AbW = abdominal wall; aw = airway; Di = diaphragm; Eq = equipment; Lt = lung tissue; Pab = abdominal pressure; Palv = alveolar pressure; Pao = pressure at airway opening; Pbs = body surface pressure; Ppl = pleural pressure; rc = rib cage. For the measurement of Pes, good results have been provided by latex balloons 5-10 cm long, 3.5-5 cm in perimeter, and with a thin wall (8, 13, 14). For accurate transmission of pressure, air should be introduced into the balloon until it is fully distended to smooth out folds, and then most of the air removed so that a volume is retained at which the rubber is unstretched without distending the esophagus significantly. A volume of 0.5 ml is adequate for balloons with these characteristics. The volume displacement coefficient of the balloon catheter-transducer system should be measured, particularly if the balloon will measure positive pressures, to ensure that the pressure level to be measured does not completely empty the balloon into the catheter and transducer. Thus, if high positive pressures are to be measured (e.g., for Pes during maximal expiratory maneuvers) a volume of 0.5 ml may be inadequate (6). Balloon volumes should be checked repeatedly during measurements. For the measurement of Pga, balloon volume is less crucial and measurements can be made with a balloon volume of 1-2 ml, given that this remains within the range of volume over which the rubber is unstretched. If studies of relatively long duration are planned, the walls of the gastric balloon should be thicker than those of esophageal balloons to increase resilience to gastric secretions. Respiratory muscle studies can involve dynamic maneuvers with high rates of change in pressure (e.g., sniffs and twitches) resulting in a significant risk of a damped signal if the frequency response of the measuring system is inadequate, as may occur if the internal diameter of the catheter is too small or the gas volume too large. Polyethylene catheters with an internal diameter 1.4-1.7 mm and 70-100 cm in length provide, when associated with adequate transducers, an appropriate frequency response (6). The catheter should be reasonably stiff, with a series of holes arranged in a spiral pattern over the entire portion of the catheter covered by the balloon, because the gas in the balloon tends to shift to the point where the pressure surrounding it is most negative, i.e., the top of the balloon in upright subjects. Liquid-filled catheters. Fluid-filled catheter systems have been employed, mainly in neonates and small animals for study of respiratory mechanics. Their advantage is that the transmission of pressure involving a noncompressible fluid (usually water) gives a high-frequency response. The catheters can, thus, be thinner than for balloons, theoretically reducing discomfort. An important practical difficulty is the need for regular flushing of the catheter, to avoid plugging of distal holes and to keep the catheter-manometer system free of air bubbles, which may dampen the measured pressure. Another drawback is that while the gas bubble in the balloon migrates to the point where the pressure is least (which is thought to minimize artifacts in the esophagus and to locate pressure at the surface of the gastric air bubble in the stomach) in a liquid-filled catheter, pressure is always measured at the end of the catheter, which may not be the optimal site. 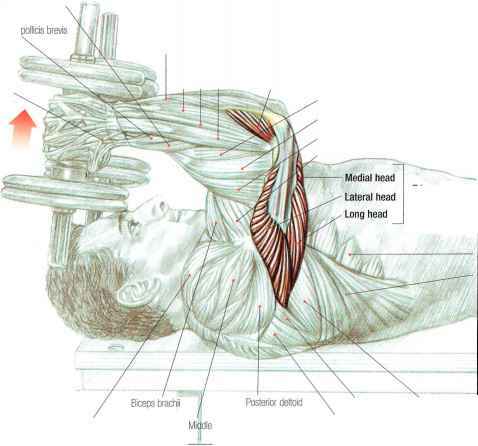 Respiratory muscle studies in adult humans with this technique are limited or not described, and its place in this context is probably limited. Catheter-mounted microtransducers. Catheter-mounted mi-crotransducers, often referred to as Millar catheters (15, 16), have a level of performance comparable to that of balloon catheters (17, 18). Their management during long studies is probably easier, with a lower risk of technical problems (e.g., leaking balloons), and they may be easier to tolerate for the subject. Their frequency response is high, which may eliminate the phase lag sometimes seen with balloon catheters during extremely rapid pressure changes. However, catheter-mounted microtrans-ducers record pressure at a single focused point so that the measured Pes may not be as representative of Ppl as balloon catheters, which sample pressure at the point where it is most negative. They are also much more expensive than balloon catheter systems, and may be difficult to sterilize and reuse with confidence. Other systems. Other systems exist to measure pressures in humans, including fiberoptic sensors. Fiberoptic sensors have long been used for measurement of intracerebral pressures in neurosurgery (19) (for review, see Yellowlees  and Shapiro and coworkers ). They are probably adequate to measure respiratory pressures (22), and may offer advantages over other devices, including decreased chance of false measurements due to occlusion with water or mucus, less chance of kinking, and, possibly, more rapid response to pressure changes. This remains to be precisely established, and, apparently, no study of fiberoptic systems in respiratory muscle tests is available.